List of all Friday field trips and descriptions. Wake up, perhaps grab some coffee and your yoga mat, and head to the Fields Facility at the Lodge for an all-levels yoga practice designed to kick-start your day of adventure. Consciously move with your breath through standing and seated postures, and activate mobility, flexibility, and strength in the body and mind to ignite your focus and energy for the rest of your day's itinerary. Start your day off with a positive mindset! Wear clothing that is comfortable and easy to move in (jeans not recommended). Bring your yoga mat and a small blanket to the Meeting Room at the Lodge. Please arrive 10-15 minutes before practice in order to set up. Hollie Hall, RN, RYT-200 will be guiding the practices. Hollie is a 200 hour registered yoga teacher through Yoga Alliance obtained through the Yoga Teacher Training Program at Studio 8 in Huntington, WV. She is currently enrolled in Asheville Yoga Center?s RYT-300 program and works at Eternal Yoga and Pilates in Ashland, KY. Hollie Hall is a Huntington, WV native and currently resides in South Point, Ohio with her husband, George, two sons, Elijah and Nate, and mother-in-law, Barbara. Trip Fee: $5.00 - Meets in Fields Facility of lodge. No transportation required. A hike to view surface features and topology shaped by karst processes in the middle to upper reaches of the Valley of the Caves. The Valley of fhe Caves is the location of the major caves of Carter Caves State Resort Park. This hike will look at surface karst features related to Bat Cave, the largest cave in the Park, from truncated caves segments downstream of the cave to sinkholes and pits above the cave proper as well as additional karst features up valley from the furthest extensions of the cave, hinting at passages yet undiscovered. Trip Fee: $5.00 - Meets at lodge. Transportation required. This is an extensive cave system with many dusty crawling and walking passageways. The dust will be flying in the crawls so if you have breathing problems this is not the trip for you. Highlights include encountering the famous Bills Crawl, a 100 ft. belly crawl utilizing only your elbows and toes. The trip to the cave entrance is a 300 ft. climb up a 30 degree banking, so you should be in good health to participate in this trip and have past caving experience. This cave is one with a long history including a short stint as a commercial cave in the late 1800s. In case of cold weather, it is suggested you wear a coat to the cave entrance and leave it until the return. Note: 20 miles of car travel roundtrip. These caves are on private property and we have permission to visit them during Winter Adventure Weekend Only! You need: Helmet, Chin Strap, Headlamp, 2 Extra Lights, Ankle-High Boots, Knee Pads, Gloves And More. Trip Fee: $10.00 - Meets as lodge. Transportation required. This is a 6-mile canoe trip that navigates you through the Tygarts Creek Gorge. Kentucky's most scenic limestone gorge. You will be on the creek for at least 3.5 hours. It is cold and wet, especially if you swamp! Because of the remoteness of the gorge and limited access, there is no turning back once you start. Needless to say this trip is not for beginners. Canoes, paddles, and vests will be provided. You should bring water, lunch or a snack for we will be eating lunch along the creek. Required Equipment includes the correct attire for cold weather paddling, a wet or dry suit is highly recommended, if not you are required to have a complete change of clothes in a dry bag. There are no exceptions to the required equipment, and the trip leaders can remove you from the trip if you do not meet the requirements. This trip can be canceled if the creek is frozen over, flooding or to low to naviagate. If this happens you can cancel your registration and receive a full refund or we can register you for other trips during the weekend. Trip Fee: $15.00 - Meets at Welcome Center. Transportation required. Drop in. Join us this morning to stretch your legs in a Hot Chocolate 5K run (or) walk through the park. The out and back course starts and finishes at the horse-camp-parking lot and offers 3.1 miles of flat roadway to accommodate runners and walkers of all abilities. Finishers will enjoy hot chocolate at the finish-line area. Restrooms are available at the start/finish-line area. Prizes will be awarded to the top 3 male and female finishers. Meets at Horse Campground. Transportation required. Cascade Cave is one of the largest of over 200 caves in Carter County and is noted for its large chambers and numerous cave formations. Set your sights on the reflecting pool in the Lake Room, and the geologic diversity of the Cathedral Room. Finally entice yourself with our majestic 30-feet high underground waterfall. This is a commercially lit walking tour of the cave. You need: Old Clothes, Flashlight, Extra Batteries, Ankle-High Shoes, Gloves And More. Meets at Welcome Center. Transportation required. X-Cave has two vertical joint passages that meander through a large layer of limestone, which puts you up-close to many beautiful cave formations. Some of the highlighted features include turkey rock, the pipe organ, and the giant column, which is the largest cave formation found at the park. Be aware of your surroundings and you will discover how this cave became known as "X-Cave." This is a commercially lit walking tour of the cave. Wilburn cave is located near the top of a big ridge. The trip to the cave entrance is a strenuous 250 foot climb up a 30 degree banking, so you should be in good health to participate in this trip. There is little to no walking passage found in the whole cave and it is known for plenty of nasty little crawls. At one point in the cave you will have to straddle over top of a 20 foot canyon to navigate through the passage. The park will provide transportation to and from the cave. The cave is on private property and we have permission to visit the cave during Winter Adventure Weekend only! Trip Fee: $8.00 - Meets at lodge. No transportation required. Experience the drop of a lifetime as you rappel through the sinkhole in the top of Carter Cave's Natural Bridge! Enjoy not only the experience of rappelling but also the natural beauty of the area as you descend over 60 feet into the bed of Cave Branch Stream. Thousands of people enjoy the view of our Natural Bridge from the ground up, but only a few get to enjoy the view from top down. Here is your chance to be one of the few! Participants must be 12 years or older and weigh between 100 - 250 lbs to sign up for this trip. For your safety and comfort however you must also fit in the harness per manufacturer's safety guidelines. Trip Fee: $5.00 - Follow signs from in front of Welcome Center. Transportation required. Now that you have rappelled into the pit, you have to get out, right? This trip will give you a taste of what is needed to ascend out of that pit that you may someday find yourself at the bottom of. You will be introduced to a basic system of rope ascending commonly used by cavers, and you will get a chance to do a rope climb. These same techniques are used whether you need to climb 12 feet or 1200 feet. Down for Dummies may get you to the bottom, but you will need us to get you out! We will provide you with all necessary equipment including a climbing system and helmet. Trip Fee: $5.00 - Follow signs from in front of lodge to site. No transportation required. Would you like to try rappelling? Here's your chance. No experience will be necessary. This will NOT be a "how to" workshop. You will be given basic instructions, put on the rope, and monitored on the descent. The rappel location is very scenic and is guaranteed to make you pucker before your 50-foot descent. For your safety and comfort, there is a weight limit of 250 lbs, however you must also fit in the harness per manufacturer's safety guidelines. Trip Fee: $10.00 - Meets at lodge. Transportation required. Find some hidden secrets in these wild and once often-visited park caves. Dripping dome rooms, scalloped rock passages, huge breakdown, a belly-crawl connection between caves, and a room filled with dozens of mini bathtub-like dams are just a few of the treasures you'll discover. These caves contain active streams. Be prepared to have wet feet, wet hands, possibly more if you slip! Water bottle/snack suggested. Total outdoor hike of at least 1.5 miles required over hilly terrain, so be mindful of the weather and dress appropriately! Trip Fee: $8.00 - Meets at Welcome Center. Transportation required. Drop in. Slacklining is a balance activity using nylon webbing tensioned between two anchor points. A slackline remains distinct from a tightrope because the line is not taut but stretches and bounces like a long and narrow trampoline. The birth of slacklining is closely linked to the legendary Camp 4 of Yosemite Valley, which was the center of rock climbing development. In the late 1960s these climbers started to pass their leisure time by balancing on barrier chains and later upgraded to one and two inch nylon webbing. We will be using a 10-foot long slackrack system that puts you a foot off the ground. No equipment is needed although tight fitting shoes are helpful, or you can go barefoot. The Sarlac Pit, much like a cave, is a pit full off obstacles that one must navigate through to find the exit and be able to see daylight again. The pit will test your physical ability to travel through a small space and will remind you of what claustorphobia truly is. Meets in Fields Facility of lodge. No transportation required. Drop in. Would you like to know if you are the fastest rope climber at Winter Adventure Weekend? Well now is your chance to find out! WAW is hosting its sixth annual rope climbing competition this year. So come, compete and see just how good you really are. All of the required equipment will be provided for you, or you can bring your own complete climbing system, however the use of a seat harness is required and all personal equipment must pass a safety inspection at the site. Anything deemed unsafe will not be allowed to be used. The winners (and prizes) will be announced during the Saturday evening program. Follow signs from in front of lodge to site. No transportation required. Sandy Cave has a huge and long trunk passage that is part of the Cascade Cave system. It also provides some interesting areas that are accessed by crawling and climbing. The entrance is through a karst window with a 70-foot pool of deep water at its bottom. The guides intend to lower a john boat to the pool and offer a boat ride to dry land. This is subject to cancellation if potential flooding conditions occur. Participants must help carry the boat through the woods for 1/2 mile to the cave on Friday afternoon trip and from the cave on the 10:00 Sunday morning trip. This cave is only accessible during Winter Adventure Weekend! Much has been discussed about the significant geology of Carter Caves. Join our residential old broke down caver as he reviews the most recent theories on what makes the Carter Caves area so special and unique. This trip will include a walk through X-Cave and a jaunt into the valley along Cave Branch. One highlight of the trip will include a walk through, Carter Caves Natural Bridge, the only natural bridge in Kentucky that supports a paved road. Trip Fee: $5.00 - Meets at Welcome Center. Transportation required. Continue your winter adventure and trek underground for a refreshing all-levels yoga practice in the stunning Cascade Cave! Rejuvenate your mind and body as you are guided through standing and seated yoga postures, along with breathing exercises that will renew your entire being. What an exclusive experience here at Carter Caves and an incredible investment in your health! All levels are welcomed in this practice. Previous yoga experience is not required. Wear clothing that is comfortable and easy to move in (jeans not recommended), and be prepared for temperature around 55 degrees. Layers recommended. Your body temperature will fluctuate during the practice. Bring a yoga mat and a large beach towel or blanket to put underneath the yoga mat. You will want the towel or blanket to be larger than your mat so that you have room for your belongings. The cave floor consists of rock and dirt and may be damp or muddy in areas. The cave floor is mostly flat; however, there are some uneven areas. Hollie Hall, RN, RYT-200 will be guiding the practices. Hollie is a 200 hour registered yoga teacher through Yoga Alliance obtained through the Yoga Teacher Training Program at Studio 8 in Huntington, WV. She is currently enrolled in Asheville Yoga Center?s RYT-300 program and works at Eternal Yoga and Pilates in Ashland, KY. Hollie Hall is a Huntington, WV native and currently resides in South Point, Ohio with her husband, George, two sons, Elijah and Nate, and mother-in-law, Barbara. Drop in. Kentucky's longest cardboard cave! This is an EXTREME cardboard maze that is adventurous for both adults and kids. You will encounter extensive crawling passages and some constrictive spaces during this trip. The passages simulate conditions often encountered by cavers in the area's wild caves. Bring a light (NOT carbide!) but leave your shoes and helmet behind. Dress lightly since crawling through the Kenny McCoy Corrugated Cave can be strenuous and stuffy. Kneepads are a good option if you have them. We allow 10 people maximum in the cave at one time; therefore a short wait may occur. Children 10 years old and under need parental supervision in order to participate. Follow signs from lobby to basement. No transportation required. Drop in. Do you like tight places? Come find out just how tight of a space you can mentally and physically squeeze through. Due to the nature of their amusement, cavers have always wondered how tight of a place they can fit through. That was when the squeeze box was invented and later constructed. Here is the way it works. There will be 2 different categories: adult competition (15 years & up) and the kid's competition (6-14 years). We will have preliminary rounds on Friday from 4pm-6pm and 7pm-8pm and on Saturday from 10am-1pm & 2pm-5pm in the Fields Facility of the Lodge. Adult competitors must take part in the squeezebox preliminaries to attempt to qualify for the finals held on Saturday night. In the adult competition, the top four male contenders along with the top four female contenders in each weight class will advance to the finals. The winners in each adult category will receive a t-shirt, sign the squeeze box, and best of all have bragging rights until next years competition. Adult finalist will be posted on the squeezebox in the fields facility by 6:00pm. In the kid's competition, kids ages 6-14 years must also take part in the preliminaries on Friday or Saturday to be in the competition. We have set different categories for children and will keep track of the records throughout the day. The child that squeezes through the box at the lowest height in each weight category will be determined the winner. The winners of the kid's squeeze box competition will be posted by 6:00pm on the squeezebox in the fields facility. Kid's competition winners in each weight category will win a prize. The winners will be recognized and prizes awarded during the awards ceremony around 8pm in the Fields Facility. Drop in. Get ready for a fun weekend, full of adventure, by relaxing around the campfire and roasting some marshmallows! Meet and greet trip leaders, past participants and everyone else at this campfire social. We will keep the fire going all weekend to warm up by and to roast marshmallows. Marshmallows are provided by the friendly people at Carter Caves. Meets at lodge. No transportation required. Join us for stargazing and learn more about the night sky! January is one of the best times to observe the night sky, with bright constellations, various nebulae, and star clusters to observe. You'll learn about various objects in the night sky, how to locate them, and their significance in time and space. A few binoculars and telescopes will be provided, but feel free to bring your own...just leave your flashlight behind! If you are scared of the dark then this is not the trip for you! Take a trip into Cascade Cave and see it like the old timer's (e.g. John Tierney) back in the day. 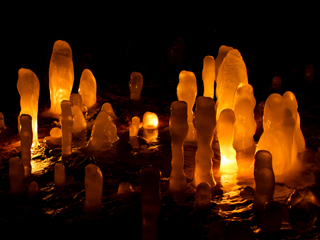 We will go caving in Cascade Cave with only carbide lamps, and ONLY old-style carbide lamps. No newer type carbide generators, LED's or battery-powered lamps will be allowed. This trip will show you how the cave looked to the early explorers of the area when all they had was flame-type carbide lamps. We will tell you the history of the carbide lamp and how its simple design brought dependable light to miners and cavers throughout Kentucky back in the early 1900's. We will show you the exact spot where back in 1923, John Tierney scared a hibernating bear and then accidently blew out his carbide lamp and was stuck in the cave for two days until he was rescued by park staff. This is but one of many stories associated with this cave. If you have an older type carbide cap lamp that is in working order please bring it. We will also supply carbide lamps for the rest of the group to use. There will be some stooping, bending and crawling involved so level 2 caving equipment is required minus the lights. Drop in. With nearly 25 miles of passages, Sloans Valley Cave in southeastern part of the state is the 4th longest cave in Kentucky and ranks #23 in the United States. The karst window known as Great Rock Sink has historically been the most popular access point and the area within, known as Crystal Cave, was operated as a show cave until submerged in early 1951 by the impoundment of Lake Cumberland. This presentation traces the exploration history of Sloans Valley, focusing primarily upon the Crystal Cave section. Highlighted are the explorations and surveys carried out in 1950 by Dr. Willard Rouse Jillson, the Kentucky State Geologist of the time, and his students from Transylvania University (Lexington). The presentation also covers exploration and surveys made during the 1960s and 1970s by the combined efforts of the Greater Cincinnati, Central Ohio, and Bluegrass grottos. Meets in the Fields Facility. No transportation required. Drop in. 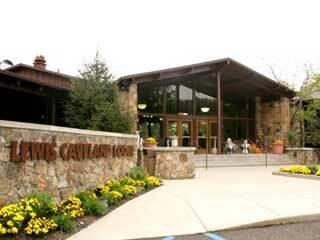 For many years Carter Caves has been known for its mid winter special events. 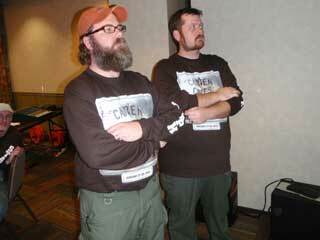 Beginning in the early 1980's with the Crawlathon and then the Winter Adventure Weekend, John Tierney has been a part of this since the very beginning. Tonight's program will be a recap of these events that will bring us to the current year. Prepare for an expedition into the depths of the earth and your imagination. We'll take a mock multi-day cave expedition to a base camp in the ancient cave system of the Cascades. Cavers will team up with Sherpa's to setup a deep base camp as we spend one Friday night in the cavern. Once camp is set we will take off and do some exploring of the unknown passages that lies ahead. We will likely encountering passages requiring stooping bending and crawling so level 2 cave gear is required. All overnight gear is to be supplied by the participant including a required 3 sources of light. Gear must be limited to cold weather camping gear and a tarp or piece of plastic to keep your gear on. Bring caving stories, caving questions, and caving lies to share around the base camp. All participants 17yrs and under must be accompanied by a parent or legal guardian, no exceptions! Trip Fee: $30.00 - Meets at lodge . Transportation required. Drop in. Join other winter adventurers tonight in the Fields facility for an evening of socializing. The Squeezebox will be open, we'll have the giant stack'em blocks up, slack lines, a few corn hole games, and last but not least the caver sarlacc! A new way to test your adventure skills at W.A.W. Don't miss out on a great way to experience this event with other participants.